The Daikin DX13S Three-Phase split air conditioner uses the chlorine-free refrigerant R-410A and offers operating sound levels that are among the best in the heating and cooling business. A Daikin brand high-efficiency gas furnace with modulating gas valve and variable-speed blower provides outstanding efficient and economical heating performance. Unlike single-stage gas furnaces that operate 'all on' or 'all off,' a Daikin modulating, variable-speed gas furnace minimizes energy use by running at the lowest possible fan speed, and producing just the right amount of heat to keep a steady, comfortable temperature in your home. If you consider the heat exchanger an essential component of a gas/electric package product, then it makes sense to choose one that offers outstanding performance. The awardwinning design of Daikin's heat exchanger is constructed from tubular steel and formed into a dual-diameter configuration. If you need a system that you can rely on. Through any season and at any time. This is the system. The best thing you can do for your home end your business. Is to install a furnace that you can rely on That will not let you down. Install a Daikin furnace. Request a Daikin furnace install. 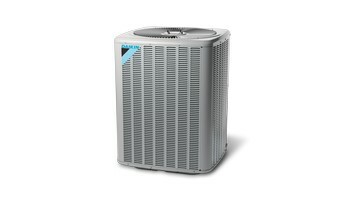 Daikin furnace forced air systems are built to last years. They are designed and manufactured fantastically. These systems are built to give you a warm comfort and dependability no matter what state or what country you live in. Have a Daikin furnace installed in your home today. If you need prices on new furnaces HVAC installs. Call The Price is Right Heating and air conditioning HVAC company. 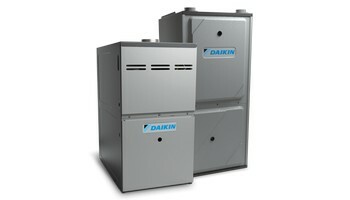 When installing a Daikin furnace they are one of the best furnaces that is out there today. 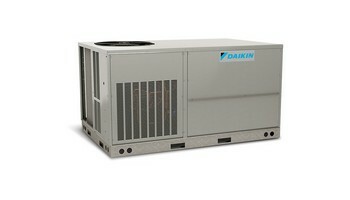 Daikin forced air systems you can always rely on. They will always keep your family comfortable throughout the whole year. Warm in the cold winter months. Cool and very Comfortable in the hot summer days. These are the systems that are built to last. Save you money all year round. Only one thing you need to do for them. Is. Get him cleaned and checked every season. have a Daikin furnace installed in your home today. We have been installing Daikin furnaces for the last 15 years. These systems are very efficient and they last a long time. Daikin furnace systems are easy to install. They are very easy to troubleshoot. Replacing the controls is very simple and easy. These systems have good warranties. When properly installed. They will last you easy 25 to 30 years. People expect these units to last a long time. But they don't get maintain and serviced. How do you think you're going to get a longer life out of these furnaces. By giving them proper maintenance. You to get that 25 year out of them. With Daikin furnace installers some are Union and a lot of them AR non-union members. No matter who's installing is Daikin furnaces. You can make sure that they are professional HVAC furnace installers. This is a good manufacturer that will not sell the front is just to anyone to make money. You have to be licensed bonded and a professional HVAC installer. To buy any day can furnace or a rooftop unit equipment. We have installed Daikin furnaces for the last 25 years. When you need a tank that can keep on going. Daikin is your furnace. Install one today.